…it's been so long since I last sat down and had something to blog about. Thats not to say I haven't been busy because I have. No more quilting for me at the moment, oh no… I'm on a mission. In a moment of madness I decided to take a stand at the school fair… selling, wait for it… ta dah! 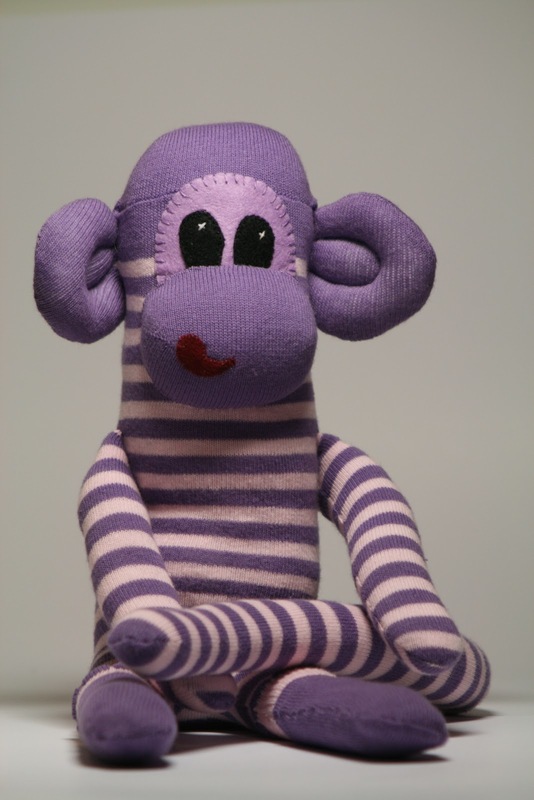 …monkeys, monkeys and even more monkeys! My fingers are sore but I finally have a little group of finished monkeys. Most of them girls at the minute, the boys are still waiting to be sewn. I will have them up for sale in the next few days on my folksy or etsy site… once I've got better photographs of them. 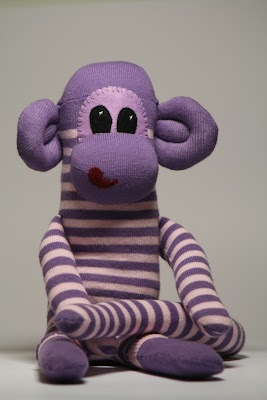 In the mean time have a look at my 'new' sock monkey page. I know, I know, I lead a sad life!!! Oh and I have a new logo too… watch this space.